Experiential class - learn by doing! Get hands-on experience building secure solutions for Smart Cards, encryption, Secure Access and other exciting applications with Hasain Alshakarti, one of the world’s foremost experts on PKI. He will show you effective methods, helpful tools and products required – all based on real-world scenarios. Get a grip on Certificate Lifecycle Management using proprietary products to administrator smart cards and certificates. Install, configure, test, and manage PKI with Active Directory. The course will provide basic PKI expertise in design, standards and safety requirements when implementing PKI in your own environment. 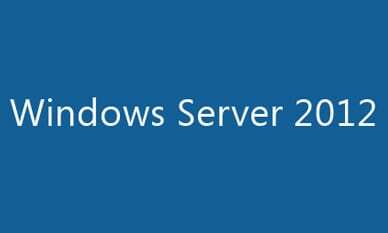 New features in Windows Server 2016 will be covered. Active Directory Certificate Services (ADCS) in Windows Server 2016 provides many new features and capabilities such as Virtual Smart Cards, Key-Based Renewal Support, Version 4 Certificate Templates, and PowerShell Deployment and Management. For his hard, solid achievements over the years, Hasain has been rewarded “Sweden’s leading IT security expert” and Microsoft Most Valuable Professional(MVP) in Enterprice security multiple times. He is a sought after speaker and extremely popular instructor at various events worldwide. The audience for this class is the IT professional working in computer security. Roles that will benefit from this class include Security Architect, IT Security Manager, and Security Specialist that currently or plan to work directly with certificates and public key infrastructure. Some experience with Windows Server is required. General understanding and experience in IT security is necessary to understand the advanced concepts covered in this course. Implement and use code signing. "Very good class. Answered all questions on/off topic."